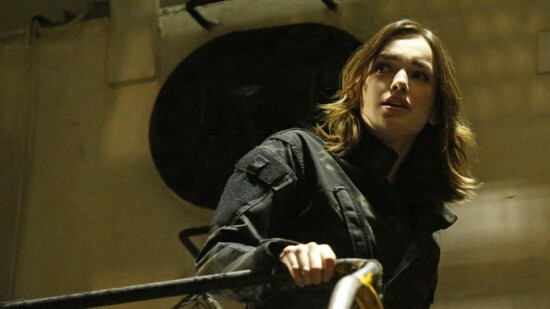 On this week’s Agents of S.H.I.E.L.D. three super soldiers break into a prison and help a man escape. S.H.I.E.L.D. identifies him as Edison Poe, a former US military man. 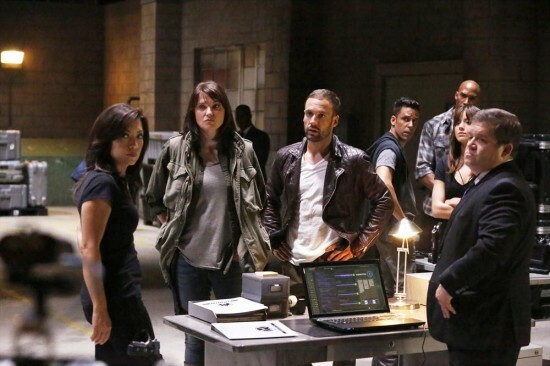 Because of the inclusion of these super soldiers, Coulson is bringing in Mike Peterson to help in the case. Skye is still trying to find the agent that dropped her off at S.H.I.E.L.D. headquarters as a baby. Coulson tells her that May is looking into some of the more classified documents. 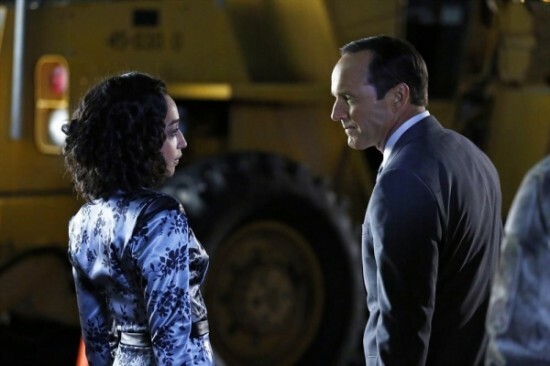 This is a lie, as Coulson does not want Skye to know the truth about her parents. Peterson is happy to help S.H.I.E.L.D. as he is trying to be a better person and do some good. 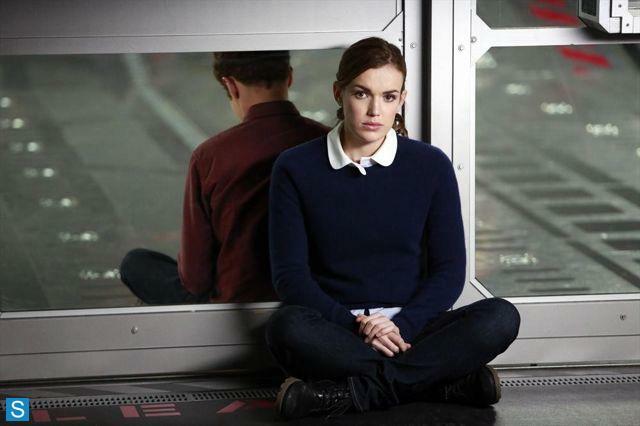 Coulson tells him that everyone deserves a second chance, but he will not get a third chance. The team is able to identify one of the super soldiers as Brian Heyward. They find that his sister is a teacher in Ohio. 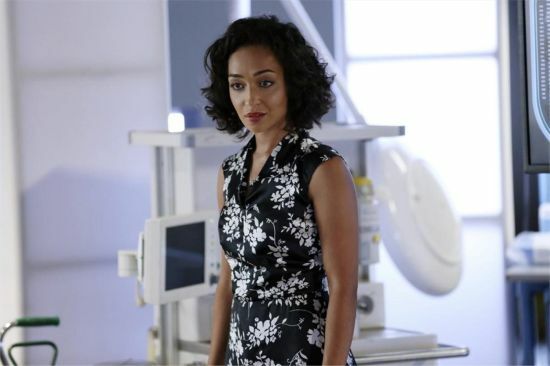 Coulson and Ward go to pay her a visit. Ward pretends to be a member of the gaming commission claiming that Brian has won the lottery. His sister is immediately suspicious and calls Brian, allowing S.H.I.E.L.D. to track him to Oakland, California. While driving, Coulson reveals to Ward that he has a lost love that moved on when everyone thought he was dead. 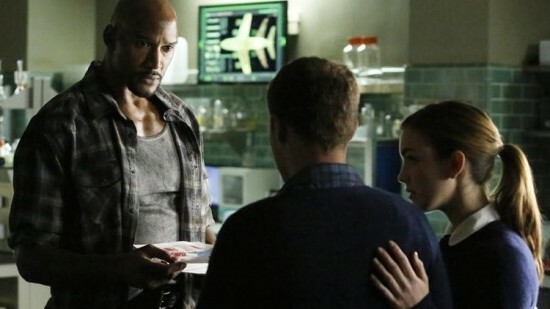 Ward mentions the option of dating within S.H.I.E.L.D. and Coulson says that’s an even worse idea. 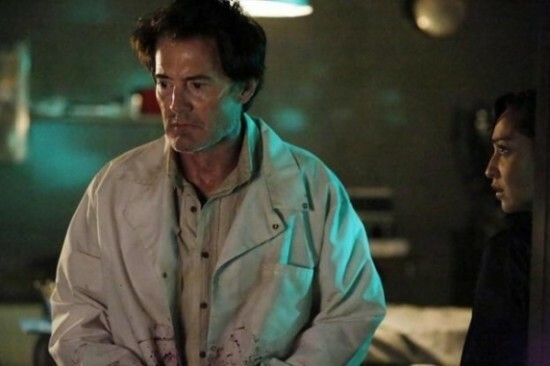 The team is called in to investigate a mysterious death of Boy Scout leader on a camping trip in the woods. The man is hovering in mid-air due to some kind of electro magnetic activity. There is also what appears to be an entry wound of some sort on his forehead. While investigating this case, another man dies in a similar fashion on his farm. He is in the barn, floating, and it looks like he was trying to get away from someone. The team is under the impression that there is a murderer on the loose with some kind of never before seen electro-magnetic super weapon. The investigation leads to a firehouse, where Coulson take note of a very nervous looking man. When Coulson interviews him, he finds out that the two men who died were part of a fire crew that helped out after the alien invasion. They had taken one of the alien’s helmets as a souvenir, and had recently cleaned it. Cleaning the helmet released some kind of alien virus, and the three firefighters who cleaned it ended up infected. Two of them are already dead, and the third man, Tony Diaz, is not going to last much longer. Coulson tells Diaz how he died once, and he knows it was for longer than 8 seconds. He tells Diaz it’s beautiful. Diaz’ electro-magnetic field is rising, and he tells Coulson to leave. A street corner magician displays his power of creating fire, when a woman (Raina) catches his eye. He invites her back to his place, where two men appear in HAZMAT suits and kidnap him. 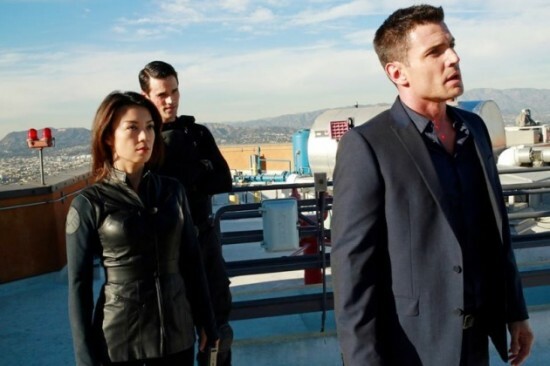 The man is named Chan Ho Yin, and is on a S.H.I.E.L.D. watch list due to his moderate pyrokinetic abilities. In researching how Yin was discovered, it appears that a leak from Rising Tide made it’s way into the wrong hands. Skye is immediately under suspicion, but she offers to track the hacker and prove it wasn’t her. Her tracking leads the team to Miles Landon, an experienced hacker who managed to get access to the Kremlin. Yin startles awake, to find Raina standing over him. He thinks she works for S.H.I.E.L.D., but she assures him she does not. She wants to help him nurture his gift and turn him into a somebody. S.H.I.E.L.D. wanted him to hide his gift, and be a nobody. She gives him the codename “Scorch”, and insists that they just want to test and grow his ability. He somewhat reluctantly agrees, but is more than intrigued by the idea of being known for something.